Like many occupations, motor racing tends to be a family affair. The children of professional racing drivers often become racing drivers themselves, to varying degrees of success. In very rare cases, both generations reach the pinnacle of their chosen racing categories. Let’s have a look at how this has happened in Formula 1. In the history of motor racing, it’s not all that unusual for multiple members of the same family to race in Formula 1 (examples include Gilles and Jacques Villeneuve; Emerson, Wilson Jr and Christian Fittipaldi; Jody and Ian Scheckter; Michael and Ralf Schumacher; Jos and Max Verstappen) . Winning the World Championship, however, is a much more elite affair, so much so that only twice has a World Champion been related to a previous World Champion. In both cases, the relationship was a that of son-father. The first son of a World Champion to win the title himself was Damon Hill, in 1996. Damon is the son of double World Champion Graham Hill, who won the title in 1962 for BRM and 1968 for Lotus. While Damon was certainly exposed to racing from a very young age due to his father’s career, it was by no means a given that he would find success in Formula 1. Having started his racing career on motorcycles, Damon only started racing racing cars from 1983, when he was already 23 years old. Damon Hill made his F1 debut for Brabham at the 1992 Spanish Grand Prix. At the time, he was 31 years old, which even then was unusually old for a driver to break into Formula 1. In the same season, he was a test driver for Williams, who signed him for a race seat in 1993 when Riccardo Patrese moved to Benetton. Hill won 3 races in 1993, providing his team-mate and eventual champion Alain Prost with a stronger challenge than expected. In 1994, Damon remained with Williams to partner Ayrton Senna, and would no doubt have expected to spend the season as Senna’s number two. Tragically, Senna was killed at the San Marino Grand Prix, and Hill inherited the role of team leader and challenger to championship leader Michael Schumacher. Schumacher would go on to take the title in 1994 and 1995, with Hill second in both seasons. 1996, however, was Hill’s year, and he fended off a strong challenge from Williams team-mate Jacques Villeneuve to realise his dream of becoming Formula 1 World Champion. In doing so, he became the first son of a World Champion to win the title. For a while, it seemed that the Hill family might have a chance of producing a third-generation champion. Damon’s son Josh raced single seaters for a few years, progressing as high as the European Formula 3 Championship in 2013, but decided to retire from racing that season. Nico Rosberg became only the second son of a World Champion to win the title himself when he beat Lewis Hamilton to the 2016 crown just a few weeks ago. Nico is the son of Keke Rosberg, who won the title for Williams in 1982. Success at F1 level was a long time coming for Nico Rosberg. He made his debut for Williams in 2006, but had to wait until the 2012 Chinese Grand Prix, his 111th Grand Prix start, to take his first win in Formula 1. It was worth the wait, however, as the younger Rosberg would go on to win 23 races and eventually the 2016 World Championship. Nico Rosberg owes his F1 success to a significant extent to the dominance of the Mercedes team over the past few seasons. That’s not to minimise his achievement – the vast majority of F1 championships have been won in the fastest car. However, being at Mercedes has also brought the challenge of being team-mate to Lewis Hamilton. Rosberg finished runner-up to Hamilton in 2014 and 2015 before finally besting his illustrious team-mate in 2016. Such was the dominance of the Mercedes team, though, it could easily have been Rosberg who topped the standings in all three seasons. His defeat of Hamilton in 2016 was testament to Rosberg’s determination and consistency. Never before in the history of F1 has a driver beaten his own triple-World Champion team-mate to the title. In winning the 2016 World Championship, Rosberg became only the second son of a World Champion to win the title. His shock retirement from F1 immediately after securing the crown means there are no drivers currently in Formula 1 who can repeat the achievement – assuming they continue to race in 2016, Max Verstappen, Kevin Magnussen and Jolyon Palmer are all the sons of former F1 drivers, but none of their fathers won the World Championship. In the junior ranks of single seater racing, no name is currently attracting more attention than Mick Schumacher. The son of seven-time Formula 1 World Champion Michael Schumacher, Mick is 17 years old and looks likely to make his Formula 3 debut in 2017. Mick Schumacher seems to be more than just a young driver with a famous name. In 2016, he competed in Italian Formula 4 and German Formula 4 and finished runner-up in both championships, with a combined total of 10 wins and 8 pole positions. The young Schumacher is currently racing in the 2016–17 MRF Challenge Formula 2000 Championship, which takes place from November 2016 to February 2017. He is fourth in the championship, with 2 victories. Rumours over the last couple of years have linked Mick Schumacher with the junior programs of the Ferrari and Mercedes Formula 1 teams. Given the close ties both F1 teams have to the Schumacher family, it seems possible that Mick could be under consideration for a Formula 1 drive in the future, assuming that he continues to impress as he makes his way through the junior ranks. Nico Rosberg is currently leading the 2016 World Drivers’ Championship. Whether or not he wins the title this year, it seems inevitable that Rosberg will break at least one record this season. With 6 races remaining (including tomorrow’s Malaysian Grand Prix), Rosberg already has 8 wins in 2016. That’s already one more than the highest number of wins without winning the title in a season. Currently the record stands at 7 (Alain Prost in 1984 and 1988, Kimi Raikkonen in 2005 and Michael Schumacher in 2006). If Rosberg loses out on this year’s championship, he will certainly break this slightly unfortunate record. 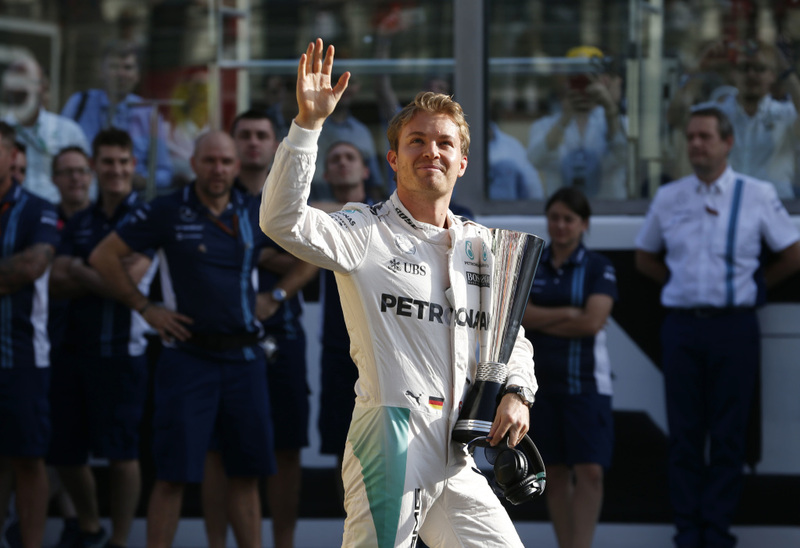 A happier record that beckons for Rosberg is the most wins in a season for a first-time champion. Currently the record stands at 9, achieved by Nigel Mansell when he won his only title in 1992. Rosberg has 8 wins with 6 races remaining in the season and he is in fine form, having won the last three races in succession. It therefore seems probable that he will at least equal Mansell’s 9 wins, and likely that he will exceed that number. One other record is possible, but unlikely. Currently the record for most wins in a season stands at 13 (Michael Schumacher in 2004 and Sebastian Vettel in 2013). 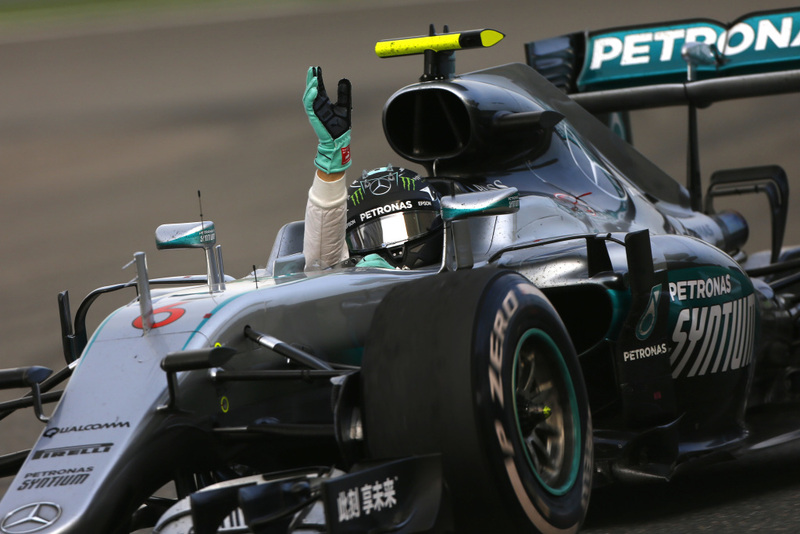 If Rosberg wins all 6 remaining races this year, he will have clocked up 14 wins in 2016. It seems improbable that Rosberg will break this particular record, as it would require him to win 9 races in a row. It would not, however, be the first 9-race winning streak in F1 history – Sebastian Vettel won the last 9 races of 2013. Rosberg qualified second for Sunday’s Malaysian Grand Prix, putting himself in a strong position to fight for victory and draw closer to the title and a record-breaking total of wins in 2016.